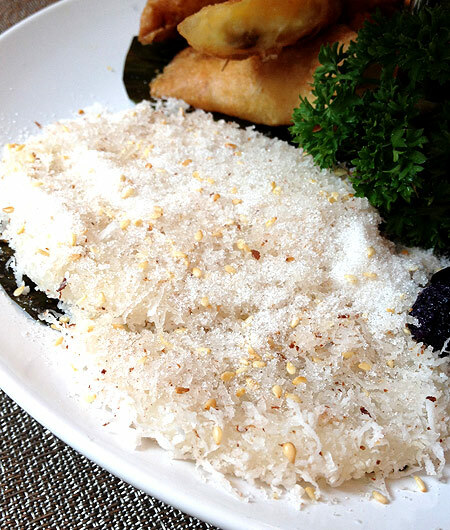 (SPOT.ph) Opening a Pamana in Manila was long overdue. 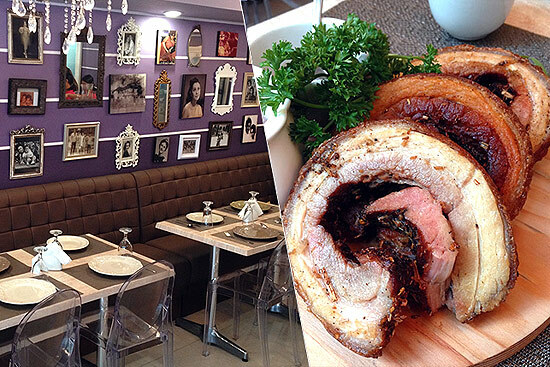 The Tagaytay restaurant is five years old while the one in Boracay just turned two. Though scaled down from the two-storey flagship house on the hills, the 50-seater Bistro Pamana in Legazpi Village relates the same homey ambiance. 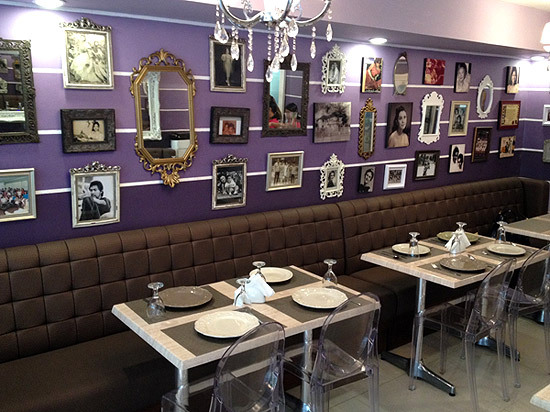 Purple walls are crowded with framed mirrors, old family photos, and movie posters of former Sampaguita Pictures star Liberty Ilagan, mother of owner Happy Ongpauco-Tiu. Shelves display timeworn pieces like an old-fashioned sewing machine, a rusty charcoal clothing iron, and an antique camera-mga pamana, so to speak, from relatives. 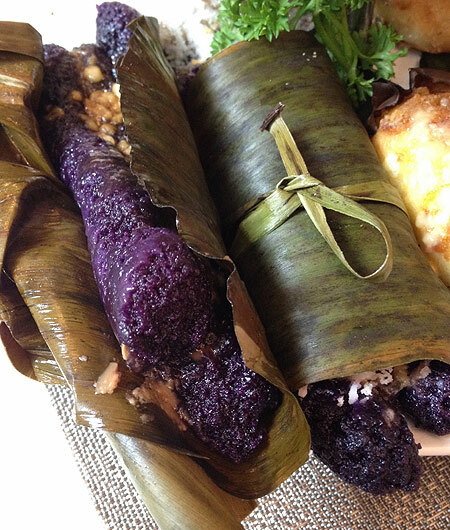 "The concept is very special because it's not the usual Pinoy food. 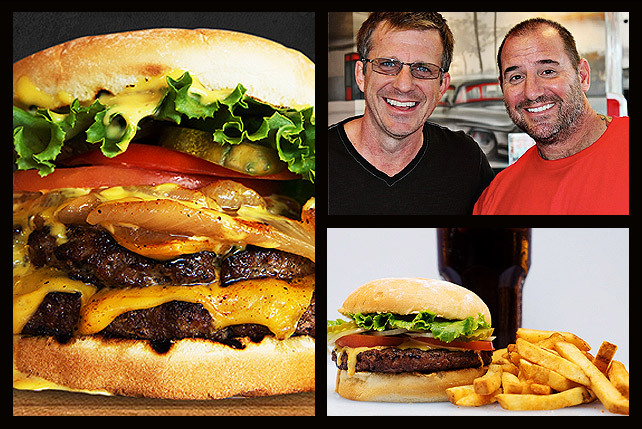 It has something to do with my family, my background and people close to me," says Chef Happy. "In every household, there's always that one special dish na pinagmamalaki ng family. I got those recipes, combined them all, and put them in the menu. Some I prepared as they are, while the others I improved on." The menu is mostly composed of heirloom recipes, but Chef Happy also came up with a few new exclusive items, like the Salmon Belly sa Sampalok at Pinya (P260), which is how she prepares her sinigang at home. 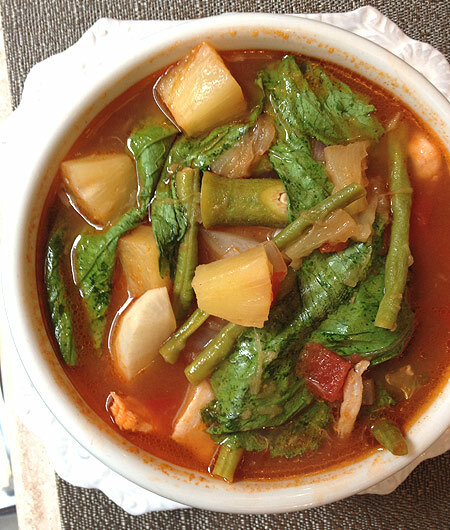 Generous pieces of fatty salmon belly, string beans, okra, radish, tomatoes, and other green vegetables are steeped in an orange-hued broth that has been spiced and made rich with different herbs. Sweet pineapple tidbits tame the sourness of tamarind, creating that just-right level of tanginess. It’s an ingenious deviation that may very well become a new classic. 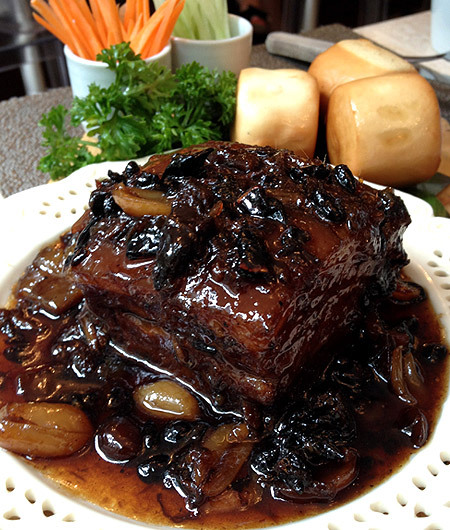 The same goes for the Humba (P290), which her grandmother, Mama Chit, used to serve the family for Sunday brunches. The slab of pork belly, which cuts like butter and chews like tender steak that has soaked up savory sweet ginger juices, is served with steamed-and-fried mantao, allowing you to enjoy the Visayan pork dish in between soft buns with sliced fresh carrots and cucumber, and hoisin sauce. 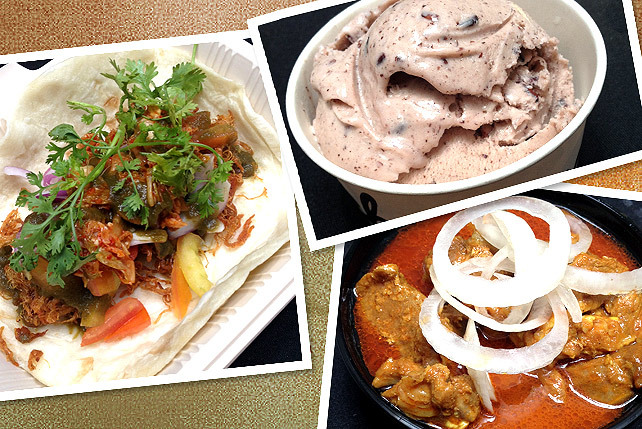 It's a fancier way of indulging on humba, with a fresher companion than just plain rice. 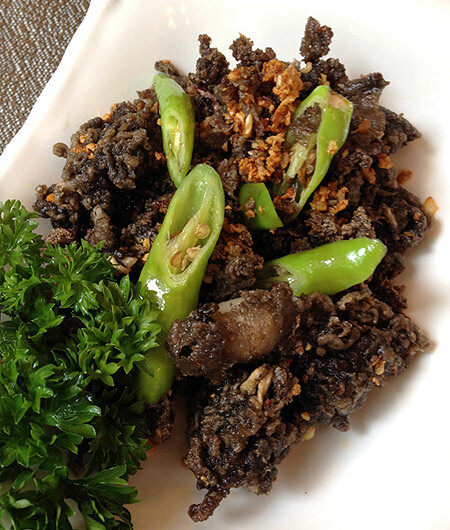 Addictive best describes the Crispy Baby Pusit in Black Ink (P230). Inspired by a dish cooked by close friend Sari Jorge of 25 Mushroom Kitchen, breaded then fried baby calamari sautéed in green chili and garlic make up this exciting appetizer. The homemade aioli and vinegar lubricate the crisp fritter and pile on extra layers of flavor. 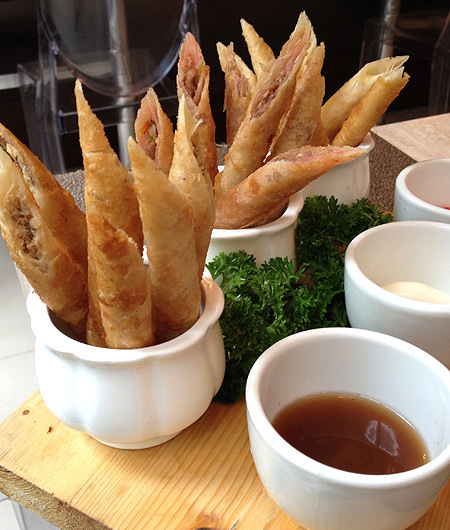 Another satisfying starter is the Lumpia Trio (P195), which had Happy turning her favorite breakfast dishes-longganisa, kesong puti, and tinapa-into fried golden sticks. 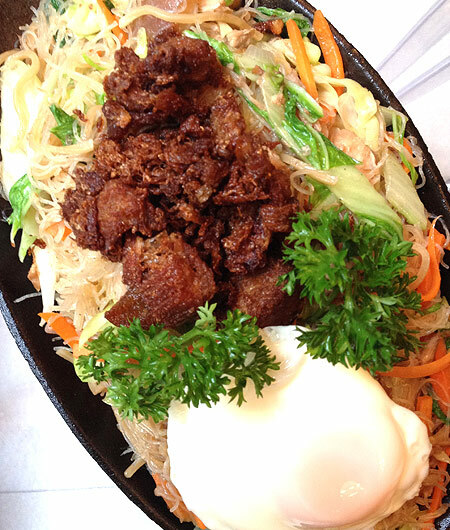 Though it’s not as familiar as other regional noodles, the Sizzling Pancit Ivatan (P320) is actually a traditional Basco dish of pancit canton topped with a sunny side-up egg and pork adobo flakes. It comes with vials of sukang pinakurat and adobo sauce, which, together with the runny yolk, make the noodles moist, flavorsome, and all the more delicious and appetizing. 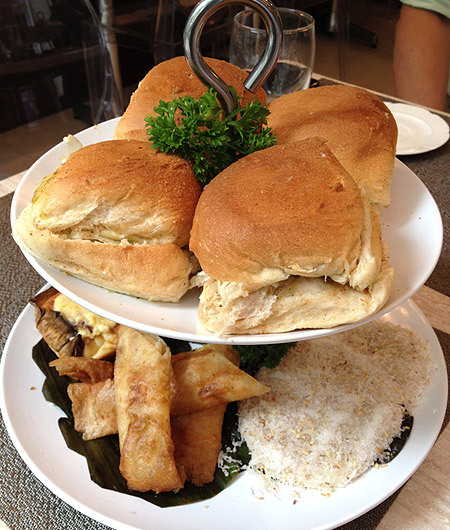 Bistro dishes pepper the menu in the form of silogs, pasta, and Lola Laling's Pandesal Bar. 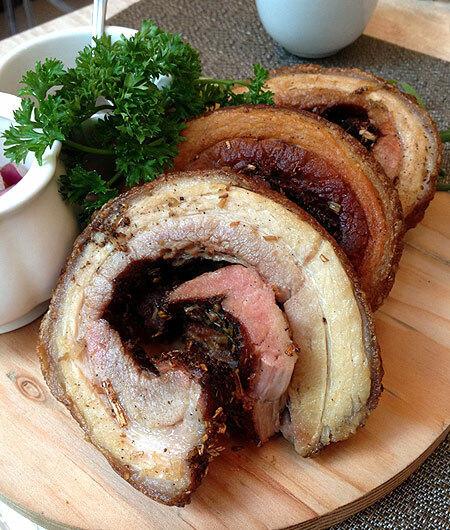 You've got an array of exciting and sure-to-satisfy viands to go with your sinangag, fried egg, hot soup, and ensaladang talong, like the Bulalong Corned Beef (P270), Bangus Salpicao (P230), Crispy Bacon Belly (P185), and Cebu Lechon Belly Roll (P230). For merienda (available at 2 p.m.), the Tea Set (P380) gives gustatory meaning to "afternoon delight." 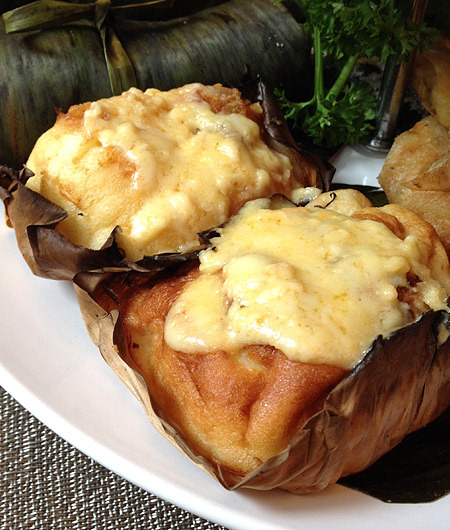 It’s composed of two platters-one with pan de sal sandwiches, and the other, all-time favorite kakanin such as palitaw, turon, bibingka, and puto bumbong. Dunking them in a cup of warm Chocolate Ah will set you back P75. Bistro Pamana is a time capsule of sorts, where keepsakes, meals, and memories are preserved and celebrated. Chef Happy opening in Makati only allows her to share her stories-her home-with more people.